The Facebook-Instagram acquisition, while almost two weeks old now, has continued to attract attention as more details of the agreement continue to emerge. According to a Wall Street Journal report, Mark Zuckerberg all but concluded the deal himself within the space of three days. Facebook’s board was only informed of the negotiations after they had begun, and while they were not “consulted” they did have the chance to vote on the acquisition. The report said that board members kept in the loop included COO Sherly Sandberg, and director of corporate development, Amin Zoufonoun, who was involved in the details of the agreement. Rumour has it that Systrom’s original asking price was $2 billion, but it was split in half before the deal was sealed. The New York Times took a look at how the deal worked out for one of Instagram’s early investors, Silicon Valley VC firm Andreessen Horowitz, which also happens to be an investor in Instagram competitor, PicPlz. The Times’ piece is critical of the firm for backing the wrong horse, describing it first as a fumble, then switching to another sports metaphor calling it a bunt. The firm was caught up in a conflict that it didn’t cause, could obviously only continue investing in one of them, acted ethically and backed picplz (which was first to attack the photo sharing space anyway). The startup is now doing different things under the Mixed Media Labs banner, but they may still turn out to be a hit both for the founders and the investors, Andreessen Horowitz included. Horowitz walks away from the Instagram acquisition with a 400x return on its investment, and its ethical boundaries intact. Seems like a pretty good deal to us. DealBook also reported on what the Instagram acquisition means for Facebook’s valuation – placing it at $104 billion. Don’t promote or glorify self-harm: While Instagram is a place where people can share their lives with others through photographs, any account found encouraging or urging users to embrace anorexia, bulimia, or other eating disorders; or to cut, harm themselves, or commit suicide will result in a disabled account without warning. We believe that communication regarding these behaviors in order to create awareness, come together for support and to facilitate recovery is important, but that Instagram is not the place for active promotion or glorification of self-harm. 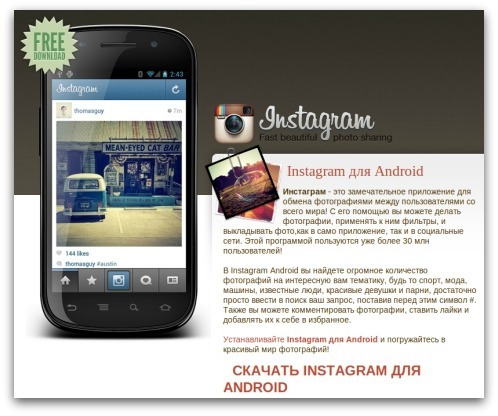 Instagram’s popularity has also led to yet another Android malware attack, where quite elaborate but very fake versions of the photo sharing app are sending background SMS messages to earn the attackers some extra revenue. Foursquare hit a few milestones this week. The social check-in service now has 20 million users, who have checked in a total of 2 billion times. The site is seeing new signups at a rate of 1 million users per month. The product will let merchants promote a deal to check in at a given area through its existing merchant platform, which allows businesses to claim their Foursquare listings. When users search for local specials, they can see offers via paid ads on Foursquare. Those ads will be targeted using the same algorithms that power “explore,” which recommends establishments based on a users’ past check-ins, as well as those of friends and the wider Foursquare user base. While brands such as Pepsi, Dunkin’ Donuts and RadioShack have worked with Foursquare in the past, launching a fully-fledged platform will undoubtedly open up new opportunities. Twitter and Instagram have had no trouble attracting celebrities and musicians alike, but we can imagine that a star-studded line up on Foursquare would be far harder to achieve. After all, what celebrity wants to announce their every move to the public? Hello paparazzi. On a serious note, however, celebrity Foursquare accounts could easily be used as a marketing tool – with musicians checking in at their concerts for example – and it could add an interesting angle on how fans can interact with their favourite celebrities, beyond Twitter, Facebook and Instagram. Last week we took a look at some of Tumblr’s monetization plans, consisting mainly of user self-promotion and optimized features for brands. 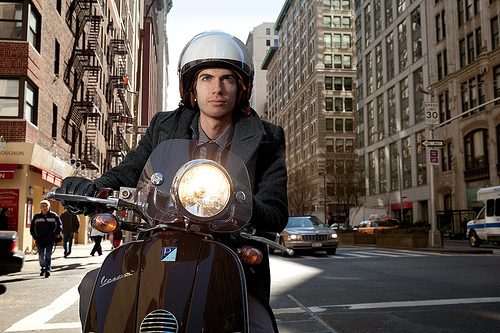 This week, those plans became more apparent when David Karp spoke at the Ad Age digital conference. Karp began his speech by quoting himself, when in a 2010 interview, he said, “We’re pretty opposed to advertising. It really turns our stomachs.” Times have changed and Karp says that he was probably an “idiot” to make that statement. Karp officially announced the introduction of ads to Tumblr’s ‘Radar’ posts which appear on the Tumblr dashboard, and receive 120 million impressions per day. As of May 2, users will be able to promote content themselves through the Radar platform. 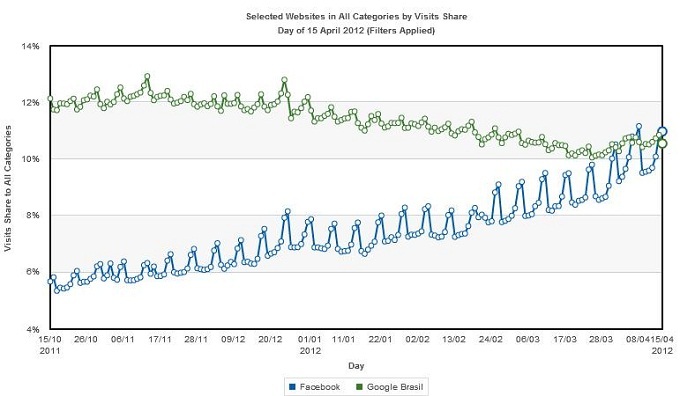 Facebook became the most visited site in Brazil. That’s not the most visited social media site, that’s most visited site overall! Yes Facebook bumped Google out of the number one spot, according to reports from Experian Hitwise over the past weekend. Facebook nudged Google out of the top spot for the first time on April 1st, with its weekend and holiday traffic often seeing a surge, the most recent taking 11% of all Internet visits in the country. As The Next Web’s Anna Heim pointed out, this is a significant milestone for the social networking site, which has just recently surpassed locally popular Orkut as the most popular social network in Brazil. Afghanistan, Algeria, Angola, Bahrain, Benin, Cambodia, Cameroon, Congo (DRC), Cote D’Ivoire, Egypt, Ghana, Guinea, Indonesia, Iraq, Israel, Jordan, Kazakhstan, Kenya, Kuwait, Kyrgyzstan, Liberia, Malawi, Malaysia, Maldives, Morocco, Mozambique, Niger, Nigeria, Pakistan, Philippines, Saudi Arabia, Senegal, Sierra Leone, Sri Lanka, Tanzania, Thailand, Tunisia, Uganda, Uzbekistan, Vietnam and Zambia. The new service allows users to post to the social network via SMS and also enables SMS notifications of activity on their accounts.